With the Sonic the Hedgehog live-action movie just around the corner, there's never been a better time to look back on all the actors who once brought life to Sega's little blue speed rat. Though improv master Ben Schwartz will play Sonic in the sure-to-be-great film, he's just the latest in a long line of actors—in both America and Japan—who convinced all of us that a hedgehog could speak. 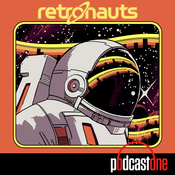 On this episode of Retronauts, join Bob Mackey and Henry Gilbert as they trace the surprisingly deep history of Sonic thespians. Plus: Larry King in the role he was born to play! Have we really never done an episode on Kingdom Hearts? Well, it's surprisingly old, and now that the long-awaited third game finally exists, there's never been a better time. This long-running Square franchise has a history as long and complicated as its plot, and we dedicate the first half of this episode to discussing the origins of Kingdom Hearts and just where it's been going for nearly two decades. Then, on the other side, we take on Kingdom Hearts 3: a very new game that still feels remarkably old in good and bad ways, and one that refuses to be anything but itself. This week, join Bob Mackey, Jeremy Parish, Henry Gilbert, and USgamer's Caty McCarthy as the crew straps into their gummi ships to fly the friendly skies of Kingdom Hearts. This is one episode where we're not a-hyuckin' around.